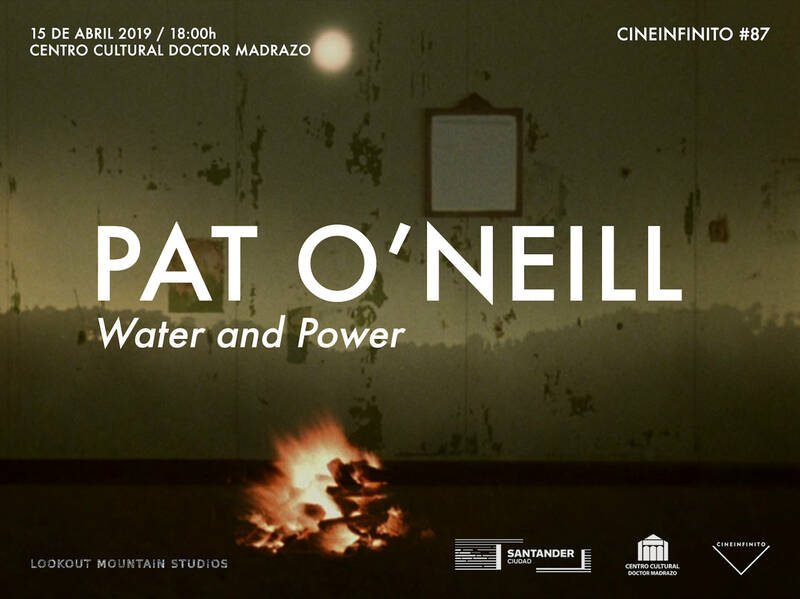 Pat O’Neill’s rarely screened masterpiece Water and Power (1989) is a technological feat on the terrifying desert created by Los Angeles’ enormous water consumption. O’Neill focused intently on the industry that sprang up around Los Angeles, ‘the city that changed land into desert’, which he filmed with the use of time-lapse photography and optical printing and animation. In this way, he managed to expose the inexorable conflict between industry and nature. O’Neill conceived the film partly in response to Godfrey Reggio’s Koyaanisqatsi (1983), a hypnotic compilation of touristy landscapes showing a world out of balance. By contrast, O’Neill created images full of internal contradictions. Footage of Owens Valley Desert dissolving into footage of Los Angeles by night serves to highlight cause and effect: the city was only able to flourish by devouring the land. Using time-lapse to make weather changes visible, O’Neill renders people as fleeting shadows. Although we are capable of altering the landscape beyond recognition, he also shows our vulnerability and the frailty of human life on a geological scale. Its title comes from the Los Angeles water district. Much of the film was shot in the Owens Valley and in an old office building in downtown LA and is metaphorically about the exchange of energy between two places. It is also about water, in all of its states, and about cyclical motion: the planets, the tides, the implied rotation of the camera on its axis, and the repetitive actions of the performers. There are also quotations from older movies and their soundtracks: at times their landscapes become continuous with those of the present. Human habitation in this wilderness is tenuous and risky. “The ‘reality’ animated by the film is LA; its topography and social ambiance, its myths of creation and embedding of a dream. It is surely the greatest of contemporary ‘city symphonies. '” – Paul Arthur, Moving Picture. “The continuous shifts and surprises that lie at the heart of the film’s form make a kind of grand metaphor for the never-ending change that underlies nature, civilization and the multiply symbiotic interchanges between them.” – Fred Camper, Chicago Reader.